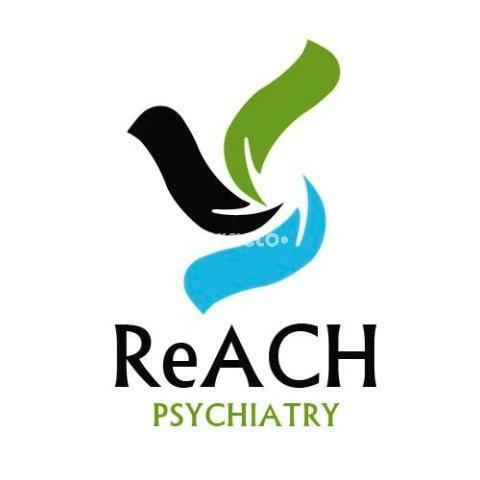 Welcome to Reach PsychiatryReach Psychiatry & Wellness is a unique Psychiatric and Wellness clinic for Children, Adolescents and Adults. We conduct personalized clinic assessments and formulate a treatment plan that includes holistic practices like yoga and meditation with psychiatric care.A little more about us.ReACH Psychiatry is a speciality centre of Behavioural Health at HRBR Layout Kalyan Nagar and HMT Layout Ganganagar, Bangalore. We provide and individually tailored approach by integrating Medication management with Cognitive Behavioural Therapy and Psychodynamic Psychotherapy. Our goal is to provide highest quality care to each patient. We truly enjoy what we do to help our patients and develop a healthy relationship with everyone walking through our doors.Mental Health is about how you think, feel and act as you deal with everyday life. Your mental health will also predict how you will handle stress, major life changes and your choices in life. Taking care of your mental health is as important as taking care of your physical health.To help you with this we offer Clinical Assessments, Counselling and Psychotherapy for individuals, Couples, Families, Children, Adolescents and Corporates. Everyone goes through difficult periods when they struggle to cope and need support, most people never imagined they would need a psychiatrist, but are always happy to receive help. We provide Counselling and Psychiatric Treatment options for Children, Adolescents and Adults face-to-face and through Skype, Whatsapp, Face Time and E-mail. Heartfelt thanks to Dr. Meena and her team! My brother is under her treatment for quite long time and he improved a lot in terms of enhancing quality of life. Now he is almost set to go for work and perform his daily activities as normal human being because of doctor's right treatment decision at right time. She was very accommodative was ready to follow up via Skype whenever needed even though we changed the city. We are truly impressed with her guidance, valuable suggestions, and always helping attitude that doctor exhibited throughout our journey. Thanks a lot! Dr. Meena provides a courteous, empathetic, non-judgemental, and ofpen minded environment, with just the right combination of professional and friendly. breath of fresh air. I found psychotherapist Smitha to be equally fantastic. Kind as a friend and intuitive so as to root out your most profound issues. I have been looking for a therapist like Smitha for years. Her therapy adapts to your needs, might it be flexible or structured. For all of us who think we can't find a doctor and therapist empathetic, flexible, and perceptive enough, you'll find them both at ReACH psychiatry, in psychiatrist Dr. Meena and psychotherapist Smitha. In general the staff here is friendly and considerate. Two thumbs up!!!!! I totally recommend these place, doctor and therapist.